We are leading supplier of fruit and vegetable spray dried juice powder. Our juice powders are widely acknowledged among our clients owing to its freshness and accurate composition. The provided juice powders are precisely processed using the quality grade natural ingredients and modern processing technology. Our company engaged in processing and exporting of dehydrated beetroot powder and beetroot flakes to different countries. Focused on technological up-gradation, dynamism and innovation, we are moving ahead by maintaining timeliness in delivering a wide gamut of Beetroot Juice Powder. The offered powder is processed using finest grade Beetroot that is sourced from our own cultivation farm and also from authentic vendors in the market who are commended for their product quality since several years. Our offered powder is added on various food items to give them distinct and attractive taste. 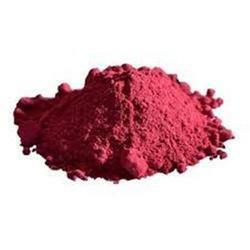 Our company engaged in processing and exporting of Beetroot Juice Powder to different countries.